There is something special about getting involved in the local community. Community involvement can bring a sense of achievement, belonging and unity to those who participate and is an incredibly rewarding experience for both businesses and individuals alike. This is why the team at Exchange Utility has now officially chosen Bury Hospice as our charity partner. Going forward, our team will take part in a range of activities in order to provide the best possible support to an organisation that is close to many of our hearts. Bury Hospice has been changing lives since 1982, when a lady named Sister Veronica Compston called a public meeting to form the facility and begin fundraising. The project soon found its place in the hearts of the people of Bury and has since received support from a range of sources including individuals, organisations, schools and businesses. It wasn’t until 24th June 1991, that the first patients were admitted to Bury Hospice. Since then, they have catered to the needs of many local people, set a high standard in long term illness and end of life care and continue their good work to this day. Exchange Utility is a Bury based business energy consultancy with two local sites. They employ hundreds of people from Bury and the surrounding areas and continue to provide some of the best career opportunities within the borough. This multi award winning business has not forgotten its humble beginnings and commits to doing its part in the community through a range of charity events and by creating even more jobs for the people of Bury. Over the years, Exchange Utility has saved businesses thousands of pounds by helping them to compare energy tariffs and find the best option for their next energy contract. You can see some examples of how Exchange Utility can help your business on their website. What is Exchange Utility doing to support Bury Hospice? The first target that the team at Exchange Utility have set is definitely going to set the standard for what is to come! 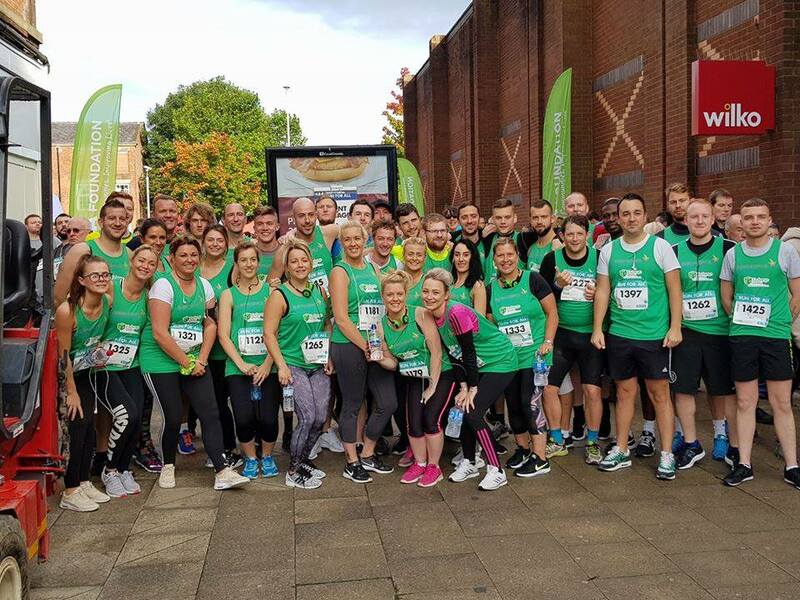 FIFTY MEMBERS of the Exchange Utility team rallied to support Bury Hospice in Bury town centre by participating in the Run for All Bury 10k and raised funds for doing so. Altogether, the Exchange Utility team raised an impressive £2,500 for Bury Hospice! 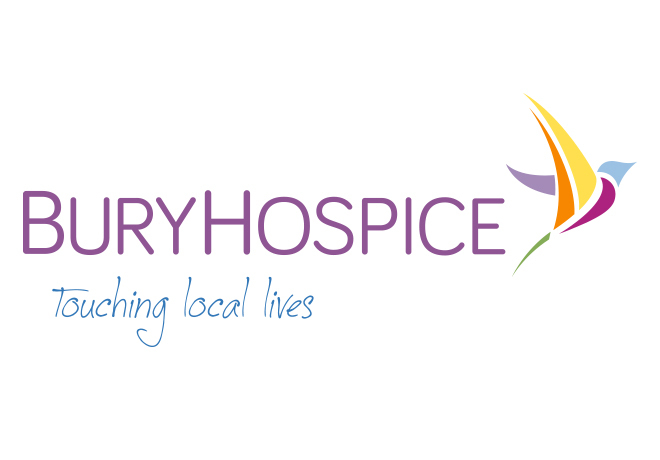 Why did we choose Bury Hospice as our charity partner? As a Bury based business, we want to keep our roots to the local area strong. We employ many local people and try our best to get involved in the community by using local companies to support our operations. The logical next step was to choose a charitable organisation to support that also adheres to these values. Coupled with our organisational beliefs, Bury Hospice is an excellent example of a charity that is worth shouting about. We are so proud that they have agreed to join our community and hope that together, we can achieve great things to help Bury Hospice support the people in our area.